Dr. John S Shymansky, MD is a Doctor primarily located in Monroeville, PA, with other offices in Monroeville, PA and Monroeville, PA (and 1 other location). He has 33 years of experience. His specialties include Neurology and Psychiatry. He speaks English. 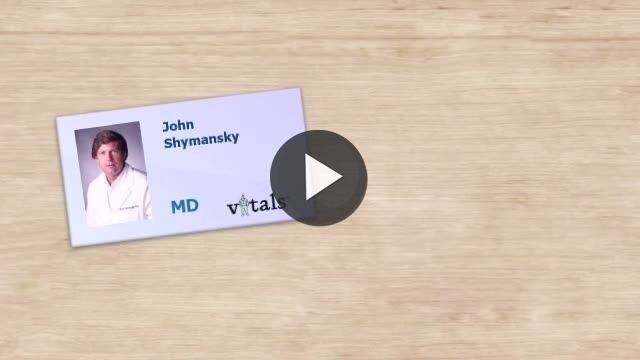 The overall average patient rating of Dr. John S Shymansky is Good. Dr. John S Shymansky has been rated by 24 patients. From those 24 patients 11 of those left a comment along with their rating. The overall rating for Dr. John S Shymansky is 3.4 of 5.0 stars. This is a teaching practice, Shymansky spoke to his entourage about me rather than speaking to me. He ordered significant blood tests; the results were handed to me by some assistant at the second appointment. He obviously thinks he's a big shot but since i don't enjoy or appreciate being a lab rat, i'm looking for another neurologist. Take a minute to learn about Dr. John S Shymansky, MD - Neurology in Monroeville, PA, in this video.